In the United States, lenders are legally allowed to put your home up for foreclosure after the 91st day without payment. You can reduce your monthly payment through either mortgage refinancing or mortgage modification. President Obama has instituted programs that make it easier for at-risk homeowners to modify their mortgages. Millions of homeowners have avoided the loss of their homes through the use of these programs. One of the more serious consequences of the recent economic crisis has been an increase in the rate of foreclosures. As more and more Americans cannot afford to pay their mortgages, they risk being kicked out of their own homes. 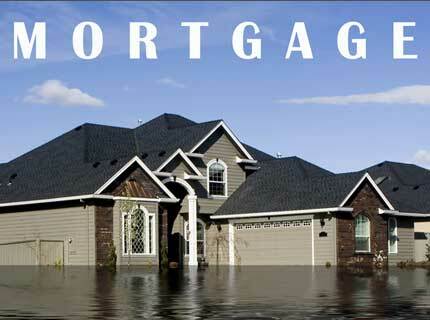 To prevent this from happening to you, it’s important to be aware of the various mortgage options available to you. The moment that a homeowner misses a monthly mortgage payment, he or she is considered to be a defaulter. This initiates a process whereby the lender adds late fees and surcharges to the next mortgage payment (in addition to the mortgage payment already owed), which makes it even more difficult to make the payment. After three months of missed payments, the lender has the right to seize the property and auction it off through foreclosure. While the specifics of this process vary according to state laws, this is the general way in which foreclosures proceed across the United States. If you’re already struggling to make your monthly mortgage payments, then you may modify the conditions of your loan in order to reduce that monthly payment. This can be done through either mortgage refinancing or mortgage modification. With refinancing, monthly payments will be reduced, and you can bundle all of your debt into one convenient package. Keep in mind that the interest rate can go either up or down. Additionally, having an undervalued home can disqualify you from the process entirely. On the other hand, mortgage modification always results in a lower interest rate. In This instance, having an undervalued home can be an advantage. No appraisal or closing fees are required, and the modification proceeds outside the terms of the actual loan. Depending on your situation, choosing either refinancing or modification can prevent foreclosure from happening to you. How Will Obama’s New Mortgage Programs Help Me? Recently, President Obama introduced a service that allows at-risk homeowners to easily refinance their mortgage. Using this program, homeowners can get a substantially lower monthly rate, as well as an extremely competitive rate of interest on their mortgage. For many people, this program could be the difference between losing and keeping their devalued home. Not all homeowners qualify for Obama’s new mortgage plan. Your mortgage must be less than $729,500, and you must actually live on the property. To prove financial need, you will also need to fully document income, tax returns, and pay stubs, in addition to signing a financial hardship statement. Nevertheless, for millions of homeowners who are struggling with mortgage payments, this is the first option to consider. For the first time in history, foreclosures topped one million. Foreclosures accounted for about one-third (31%) of all home sales this spring. Get information related to how to break free Mortgage Trouble delivered directly to your inbox.